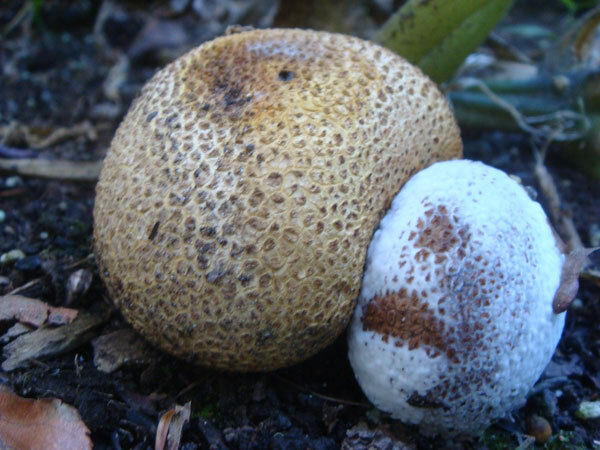 The earthball - Scleroderma citrinum is technically a fungus, not a mushroom. This is VERY POISONOUS. 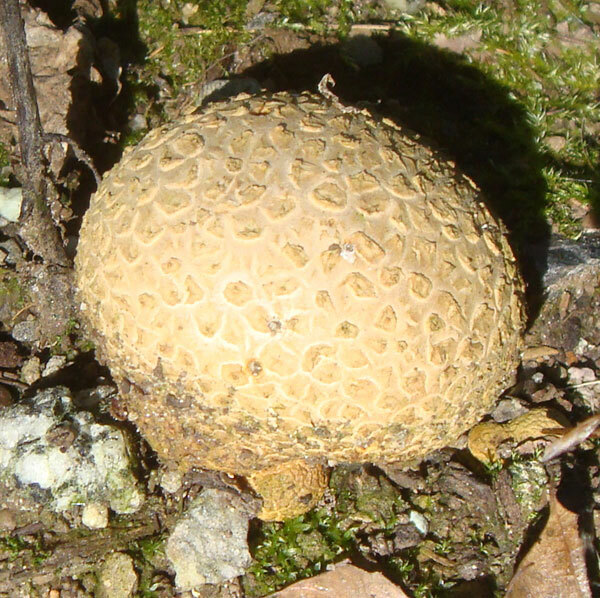 I am fairly certain that all of these photographs are of earthballs, but I am open to comments from experts! 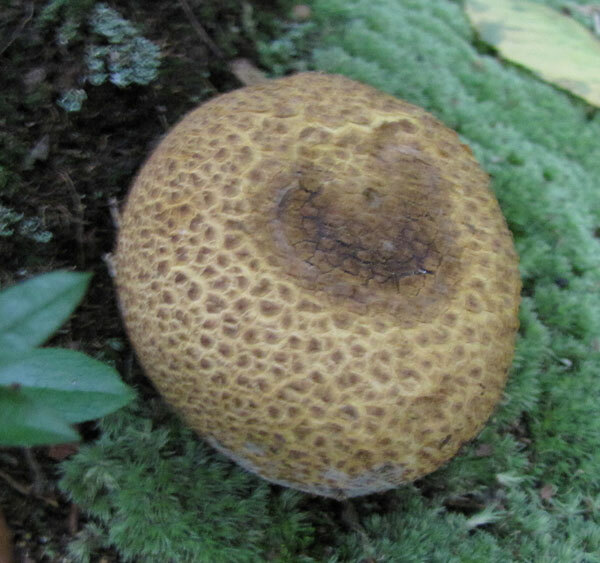 This Earthball was photographed at Purgatory Chasm. 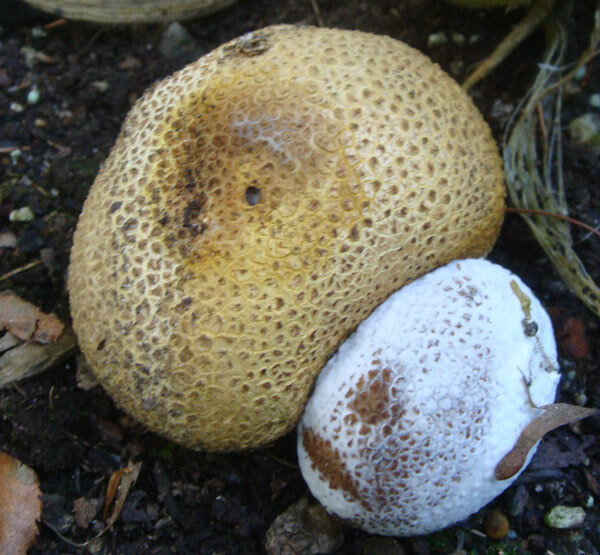 These next earthballs were in my garden with the squash. 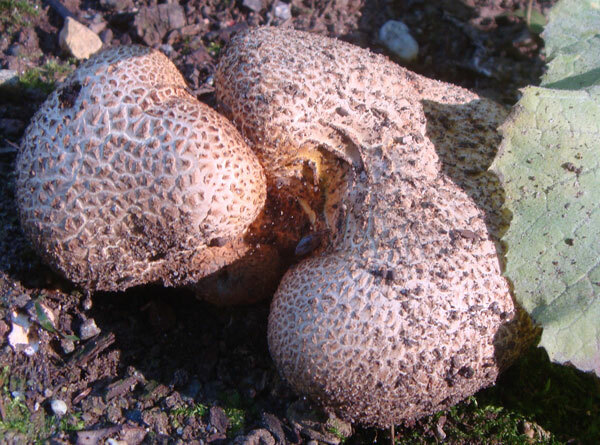 This one was also in the garden, at a different time. Please do not eat any of the items I mention on the site! I am not an expert. 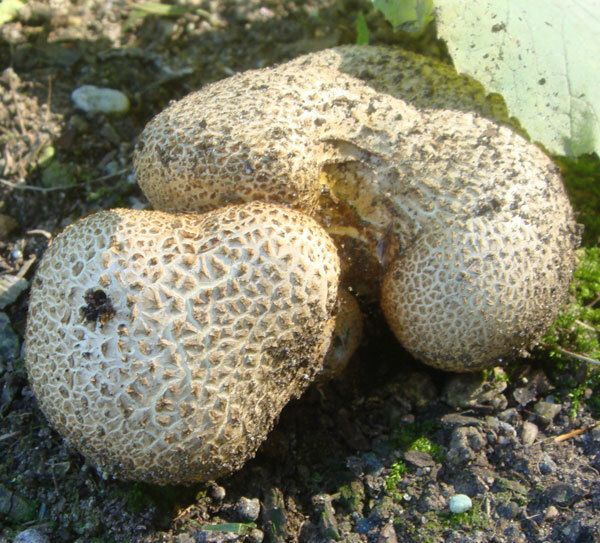 Always talk with an expert before eating any mushroom or plant.